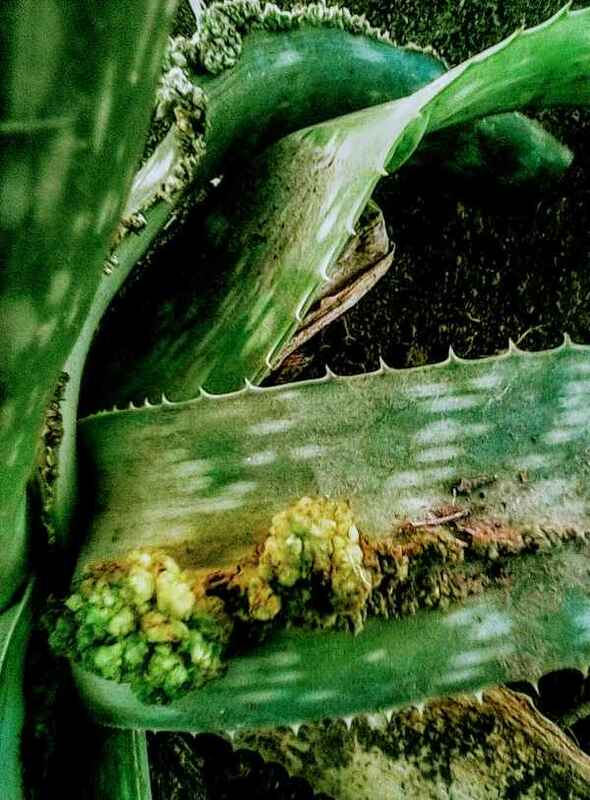 Aloe in Trouble - what's going on? What's the problem with this plant? 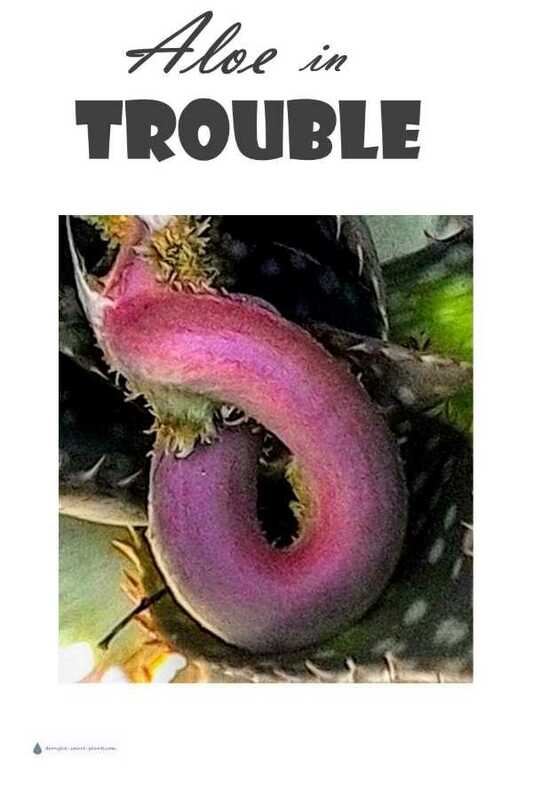 People often ask me to help with their horticultural problems, and normally I just send them to the page where they can post pictures and ask me for help. This time, there were more pictures that needed to be shown, and more explaining to do. Lindsay in California sent me some images that are quite frankly, terrifying. Just like they say on TV; WARNING; GRAPHIC IMAGES. I tried to use your "ask a horticulturist"
section but had way too much trouble attaching my photos (nothing at all having to do with you but to absolutely due to my inadequacies), and believe it would be easiest for me to email you directly. I have never posted a question, comment or anything to a website so I'm not sure if it will be interesting or informative enough to be used, but I figured once our communication has completed you could post it to your website yourself, or respond to me on your page with my question and photos. Either way, could you please send me your email so I can hurry up and stop the death of my aloe? Lol. Thanks bunches! When I saw the pictures of Lindsay's plant, I had to address this. 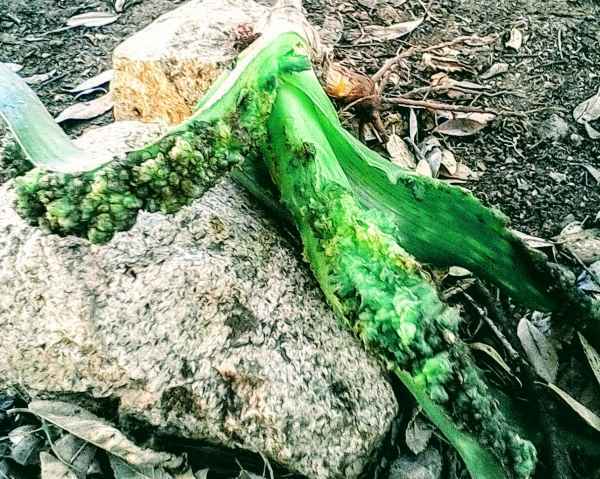 If you have a plant that looks like this, be ruthless to prevent the spread of whatever it is. Don't wait, don't leave it lingering, in the hopes that it will magically cure itself. It's too late for that. Hi Lindsay, I'm afraid it's too late for this plant. What is going on is what's called 'fasciation' and it's pretty much terminal. 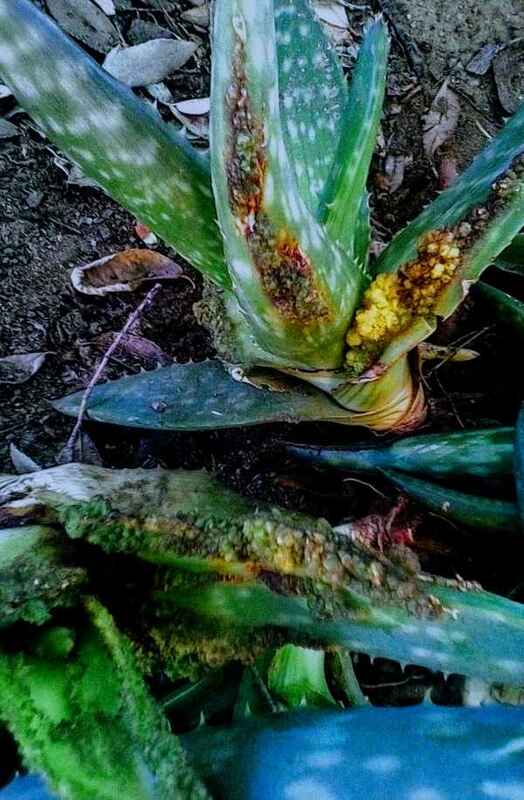 Worse, it can spread to other similar plants in the neighborhood. Sometimes, you just have to be ruthless and cull out plants that have this kind of problem. Originally, it may have had some kind of damage, maybe a bruise from hail, or an insect chewing on it, but then some kind of bacteria got in and created this weird type of growth. 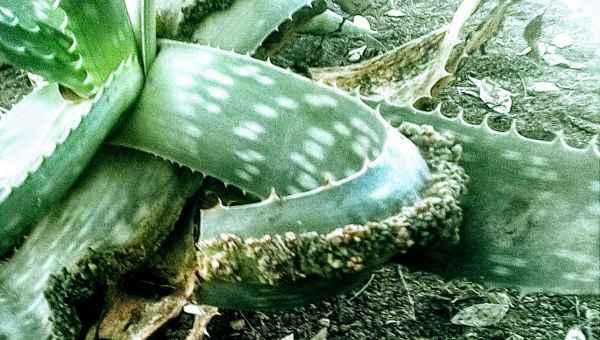 Another distinct possibility is the Aloe mite. See more about it here and some suggestions on treatment from San Marcos Growers. Here are more pictures of similar damage from Daves Garden Website. One thing to keep in mind is that other related plants like Haworthia, Agave and others are also susceptible to these tiny mites. The appearance of the damage is the plant trying to encapsulate the invader, but as you can see it gets completely out of control. It's the equivalent of cancer. Dig this plant up, using gloves, and get rid of it in a garbage bag - don't compost it, as you'll just spread the problem. Throw out or thoroughly clean with bleach any tools you use. Don't take this lightly, and think, oh it can't possibly spread. I'll try and save the plant. Don't do it!!! I mean it. Get rid of it now, no hesitation. 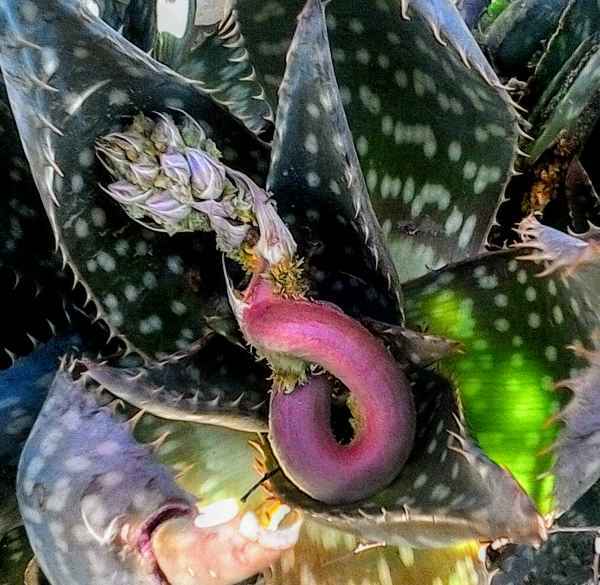 I don't think it's a good idea to plant another Aloe in the same spot either. 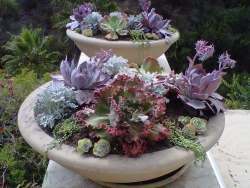 PS I will be using your pictures on a page, because I think it's important for people to see that growing succulents isn't all sweetness and light.